Why don't our public schools have uniforms? Today was the first day of school, and it's one of those milestone First Days of School, because The Pea is now a 6th grader. I feel like we've entered a whole new world, and in a sense, we have. Now that she's in middle school, The Pea bikes to school on her own, she'll be moving from class to class, she has her own school locker, and she has to follow a dress code. Having to deal with The Pea's dress code has brought about a fresh wave of longing for school uniforms. I wore uniforms as a schoolgirl, and all schoolchildren in the UK (where we spent 5 weeks of our summer vacation) wear uniforms as well. Schoolwear in the UK can cost as little as £2 for a top, £3 for a pair of trousers, £4 for a cardigan, and £5 for a pinafore. I honestly don't understand why US public schools haven't adopted the practice. I dug out a post I wrote a few years back for the Silicon Valley Moms Blog, and I found that my post is just as relevant today as it was then. 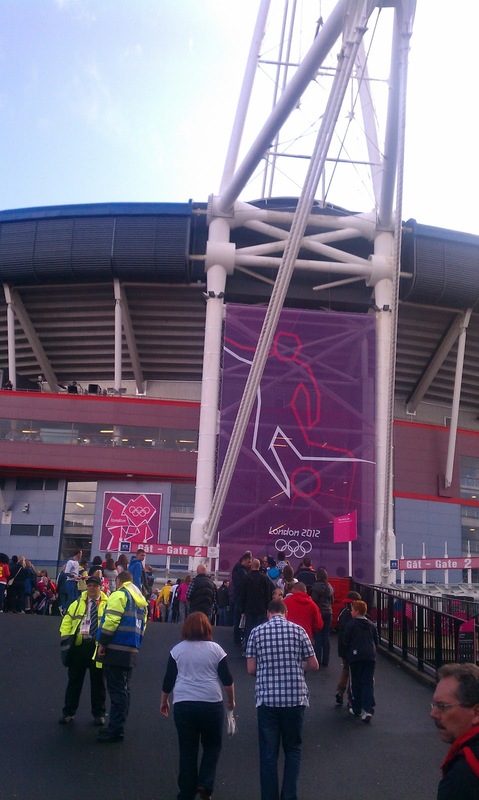 We are back in the US after 5 weeks in the UK, and all month long I've been blogging about how pervasive the Olympics have become in everyday British life. That's definitely not the case here in the US; in fact, one of the first things 3Po said to me after our plane landed at SFO and we were walking through the airport was, "Mama, don't they know there's an Olympics going on? Why aren't there any Olympics posters?". Obviously, as the host country, the Olympics was bound to get much more coverage, but I'm still a bit surprised at the extent of Olympics awareness here in the US. I have finally managed to get The Pea to love hummus as much as Alfie and the boys and I do, but it comes at a cost: she won't eat store-bought hummus. She only likes the homemade kind served at proper Middle-Eastern restaurants. 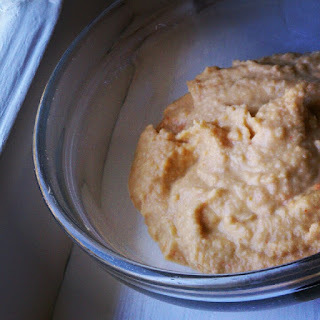 Yes, I know home-made hummus tastes better, but store-bought hummus is fine, and besides, I am a lazy sod who hates washing up the food processor or blender. So for a while I held out, continuing to buy hummus from the supermarket and giving her ranch dressing to dip her pita bread and veggies in. But last night, I finally gave in and made my own hummus. When we purchased our tickets to Olympic football (soccer) a year ago, we had no idea which teams would be playing. 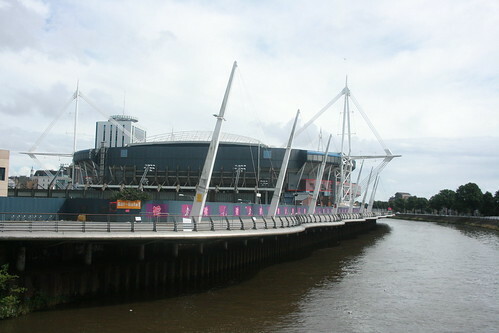 We made our choice based on the stadium (we wanted to spend some time in Wales to see Cardiff and the Millenium Stadium) and the price (the quarterfinal match was within our family-of-5 budget, and we figured that the crappy teams would have been weeded out by the quarterfinals, so we'd get a decent match). So it was a delighful surprise to find out that Team GB had been placed into Group A, and that we would be watching the winner of group A play in our semifinal. And when Team GB actually did win the lottery, we felt like we had won the gold medal already. We'd only be watching one match -- and it would be Team GB! 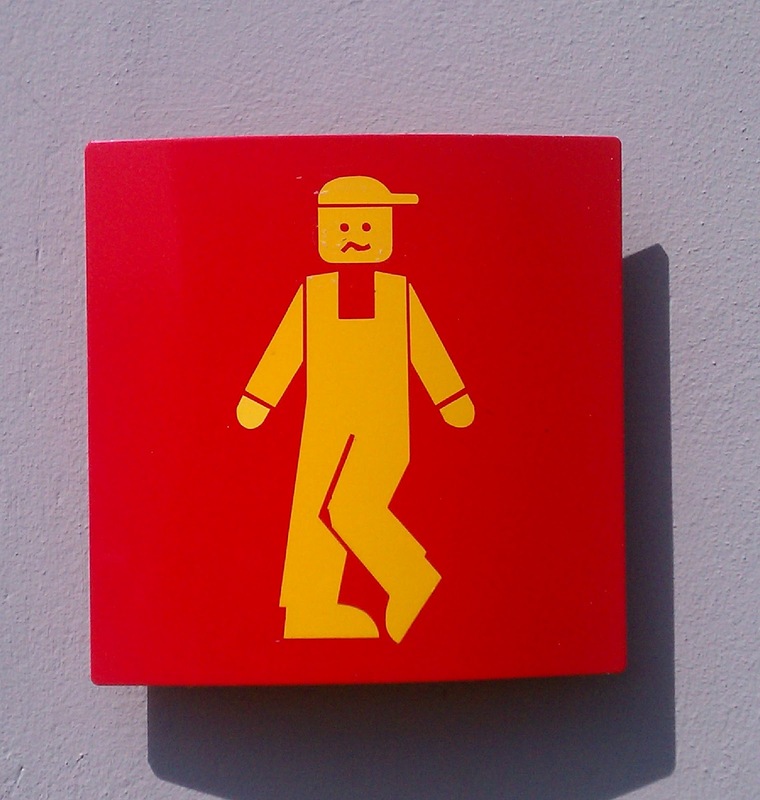 We were already looking forward to the event, but now our excitement had reached fever pitch. BlogHer 2012 is here! The official conference begins in just 1 day, but bloggers have been arriving in New York for several days now, and the parties are already in full swing. It's going to be a hectic three day or four days, filled with people and parties, seminars and swag, friends and fun -- and for the first time since 2008, I won't be there. I'm sad to be missing it all... but since I'm in London for the 2012 Olympics, I think I'll survive. 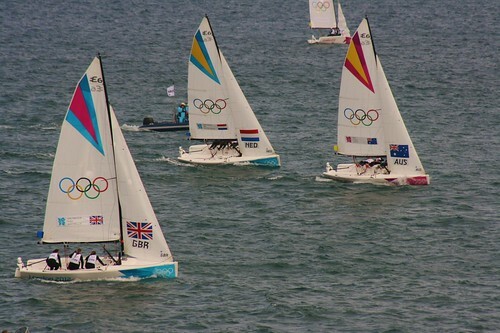 While bloggers were packing their suitcases and traveling to New York, I was watching Olympic sailing in Weymouth. While they are listening to the closing keynote speeches (or perhaps partying at CheeseburgHer) on August 4th, I'll be watching Team GB compete in the football semi-finals at the Millenium Stadium in Cardiff. 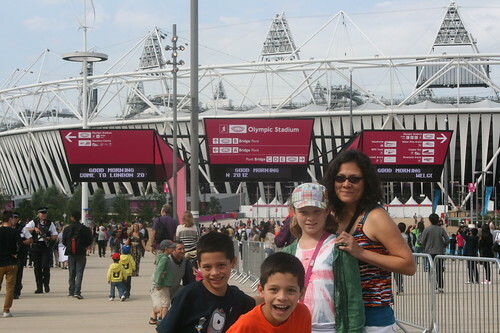 Yes, we've had the good fortune to get tickets to 2 Olympic events... and we were even able to visit the Olympic Park!